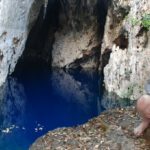 The tour starts in Bulawayo & ends in Victoria Falls & includes all the highlights that we feel are the best in this colourful & interesting country. Priced from USD 4719 per person. 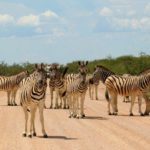 Our Intimate Zimbabwe & Botswana Encounter is a 15-day journey through the highlights of Zimbabwe and Botswana – visit well-known attractions, explore the history & feel the thrill that Zimbabwe boasts. 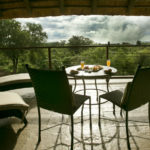 This Zimbabwe Lodge Safari and Botswana Lodge Safari combination is a must for adventure-lovers, family’s and couples. 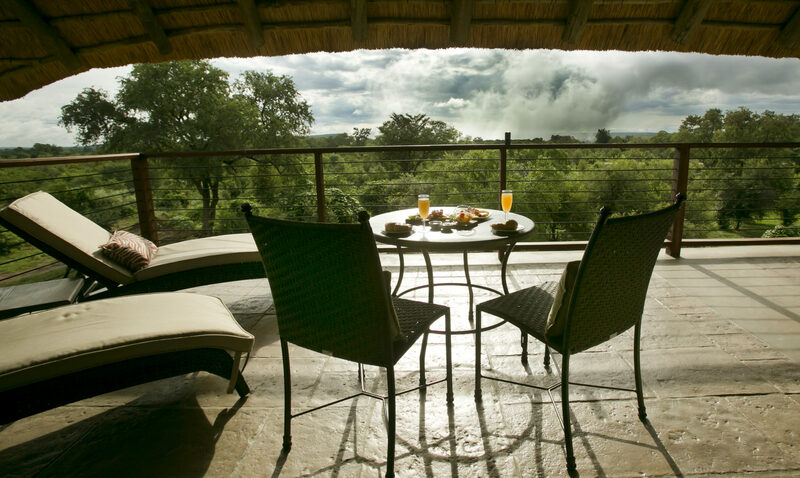 While you travel around Zimbabwe, you will stay in luxury lodges – lodges that we recommend & love. 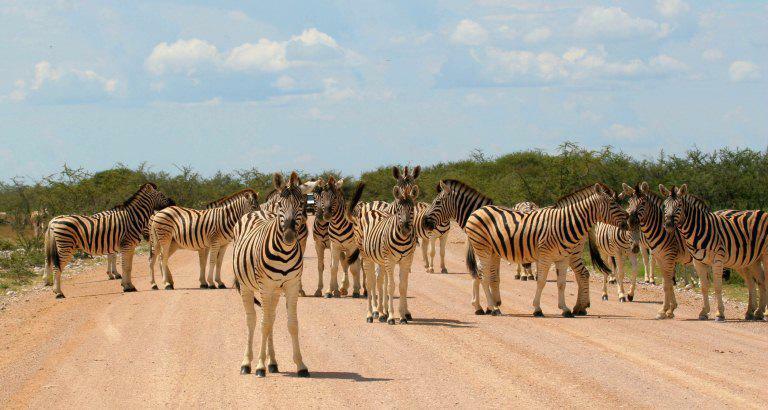 This is a small-group lodge safari, giving you that intimate experience & feeling. 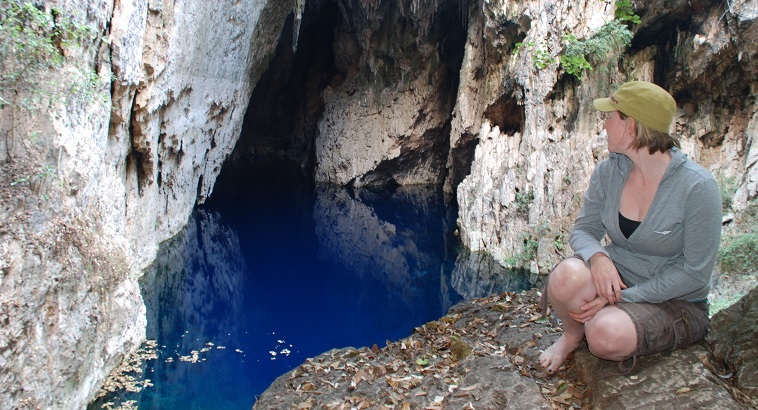 The tour starts in Bulawayo & ends in Victoria Falls & includes all the highlights that we feel are the best in this colourful & interesting country. 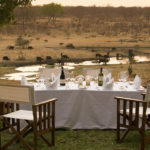 Intimate Zimbabwe Lodge Safari highlights include; Matobo National Park and Rhodes Grave, Great Zimbabwe, Mana Pools, Lake Kariba and Matusadona National Park, Antelope Park, Painted Dogs Conservation Centre, Hwange National Park, Victoria Falls. 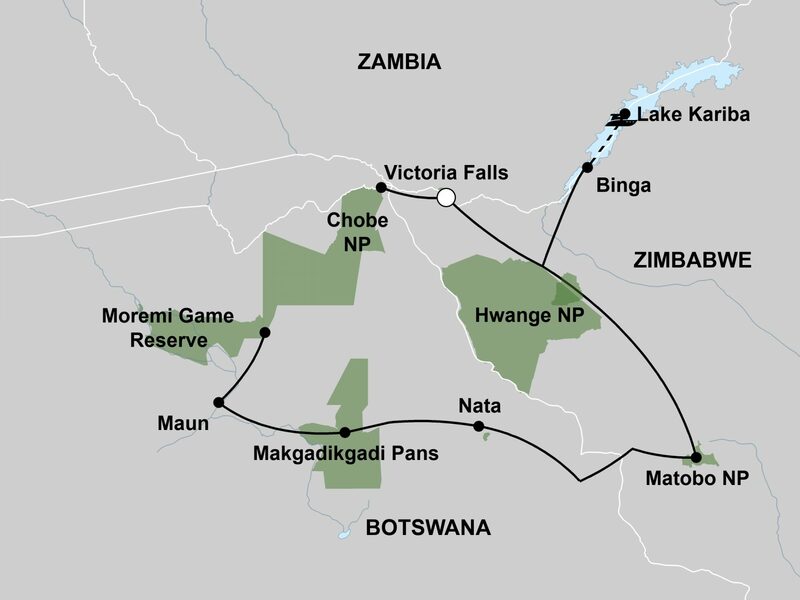 On arrival into Victoria Falls Airport, you will be met and transferred to your hotel. This evening you will meet your guide and the rest of your group for your pre-departure meeting. 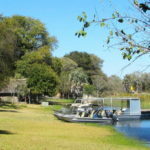 After breakfast your guide will take you on a tour of the mighty Victoria Falls. 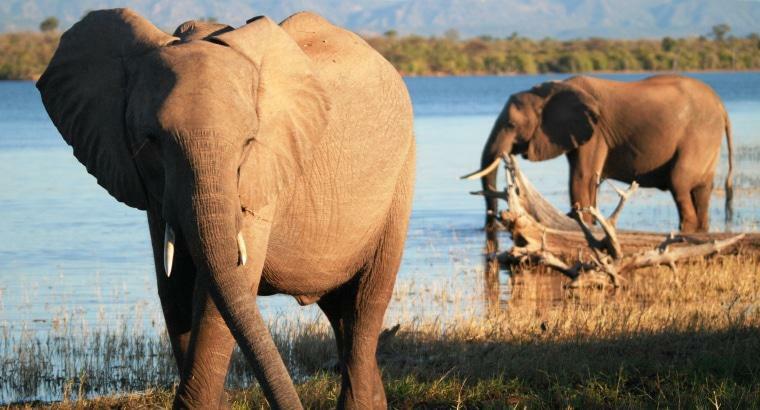 We then travel to Kasane in Botswana, the gateway to the Chobe National Park. 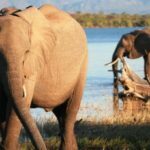 Today we head off to Binga located on the south eastern shore of Lake Kariba, where we will board a luxury houseboat for a relaxing two-night trip. 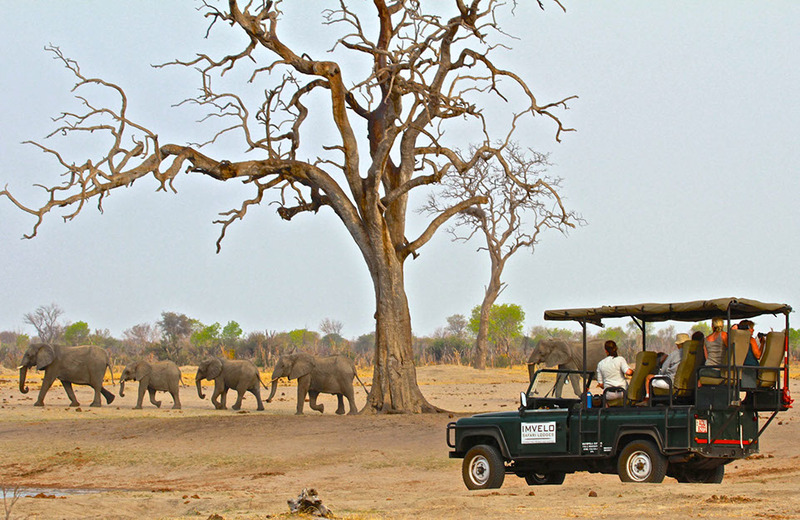 A very early morning departure leads us to Planet Baobab near Gweta, from where we embark on an expedition to Ntwetwe Pan to encounter some of Botswana’s distinctive landscapes and extraordinary creatures. 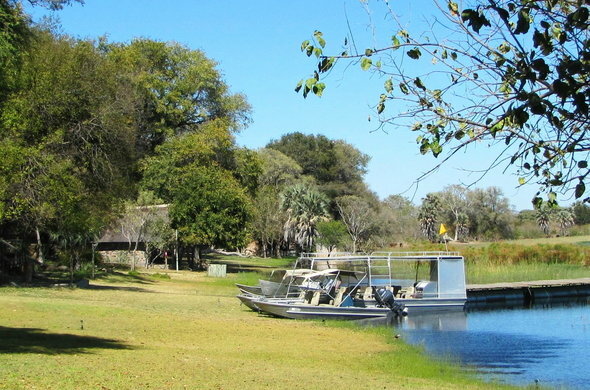 Today we travel to Maun, a bustling safari town which serves as the gateway to the Okavango Delta. 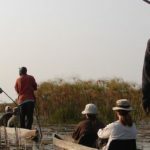 We will float in dug-out canoes through the thick vegetation of the Okavango Delta discovering a variety of birds and wildlife. 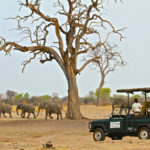 Today we head into the famous Moremi Game Reserve & spend the day there. 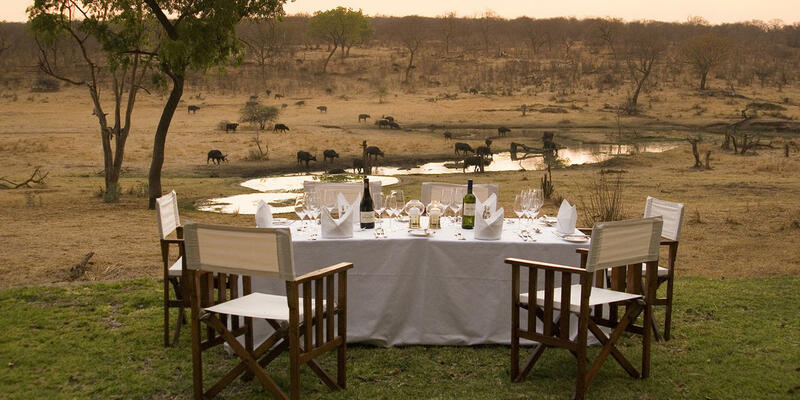 Our safari ends after breakfast.